Pastor Dave and his wife, Jayme. Pastor Dave Chenoweth is the pastor at First Baptist Church of Blue Hill. He is married to the former Jayme Brennan, whose father, Jay (John) Brennan, M.Div., M.Ed., is the teaching pastor at First Baptist Church of Dexter. David and Jayme have five children, all boys: Samuel, born in 2008, Caleb, born in 2010, Levi, born in 2012, Jesse, born in 2014, and Micah, born in 2017. Pastor Chenoweth has a Certificate of Missions from Mountainside Missionary Training Center with International Messengers, an Associate’s degree in Ministry, and currently is continuing his studies at Grace Evangelical Seminary in Bangor to complete his undergraduate work. His most recent pastorate was at Pleasant Street Christian Church in Corinna, where, in addition to his preaching duties, he administered baptisms and holy communion, presided over weddings and funerals, was involved in weekly home and hospital visitation, facilitated weekly prayer meetings and assisted in administering the Vacation Bible School program, among many other undertakings. Jayme Chenoweth attended Gordon College, graduating with a B.A. in Biblical History in 2001. When she was young she had dreams of becoming a missionary. She has been on mission trips to Honduras and Costa Rica, where she lived on a mountain and helped build homes for the homeless. When she is not busy caring for their five children, Jayme works part-time for Global Study Connections, enjoys painting, reading her favorite authors and leading others in worship. She has a special place in her heart for those who have been psychologically and spiritually abused and has spent extensive time studying and writing articles on the tactics of spiritual and emotional abuse as well as the effect of such abuse on victims. She now assists women who have been abused recover and thrive by helping them to find their identity in Christ and overcome their adversities. She is also knowledgeable in the subject of spiritual warfare and oppression. 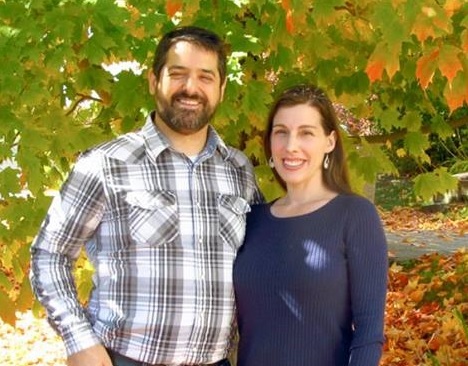 The Chenoweths are excited to be established with a church that is conservative yet compassionate, Christ-centered, mission-minded and that seeks to be equipped to know, worship and serve God better and love people more. They have become part of a congregation that wants to make a positive and meaningful impact on the next generation, yet remains proud of its history and traditions.